2.Solid-liquid separation of industrial waste water in textile, dyeing, butchering, leathering, etc; 3.Solid-liquid separation in the process of sugaring, wining and foodstuff. 3.Continuous waste removing, completely dregs removing, and high efficiency of separation. This equipment is composed of special rake teeth made of engineering plastic (ABS), nylon or stainless steel which are orderly assembled rake teeth shaft to form close rake teeth chain. The lower part of that is in water of intake canal. 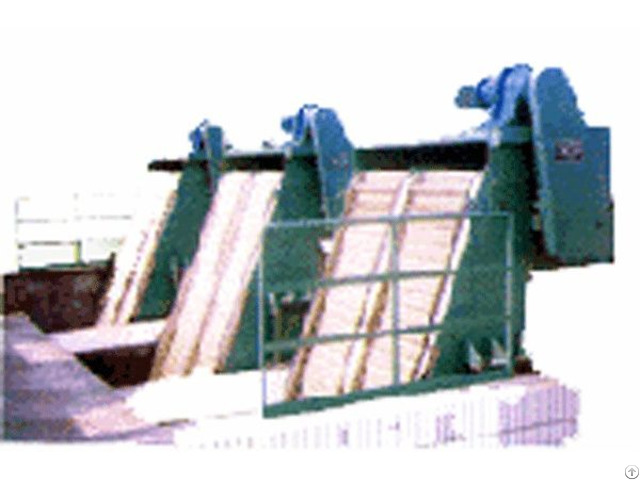 When transport system drives the chain wheel to rotate at constant speed, the whole rake chain shall move up and down and carry the solid waste to separate from the liquid. The liquid shall flow through the bar gas of the rake teeth. The whole process shall operate continuously.Due to the special structure and shape of the rake teeth, when the rake teeth chain carries the waste to reach the top and move in reverse, there shall be relative self-clean movement between front teeth and back teeth. The dregs shall drop on weight. There are pair of brush at the back of equipment to ensure every row of teeth to be completely cleaned when moving to the position. 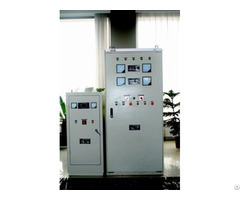 The equipment are classified as GSHZ300-1500, parallel machine of GSHZ1600-3000 according to the equipment width. The equipment type shall be determined based on water flow and raising height. Varies of grille bar can be selected according to the size of separated dregs.